The client was in need of an identity created for this new product—a hand-crafted artisan cheese—in order to be incorporated into the existing product line and distribution channels. This project required the development of various materials used to package and advertise to large distributors as well as consumers. 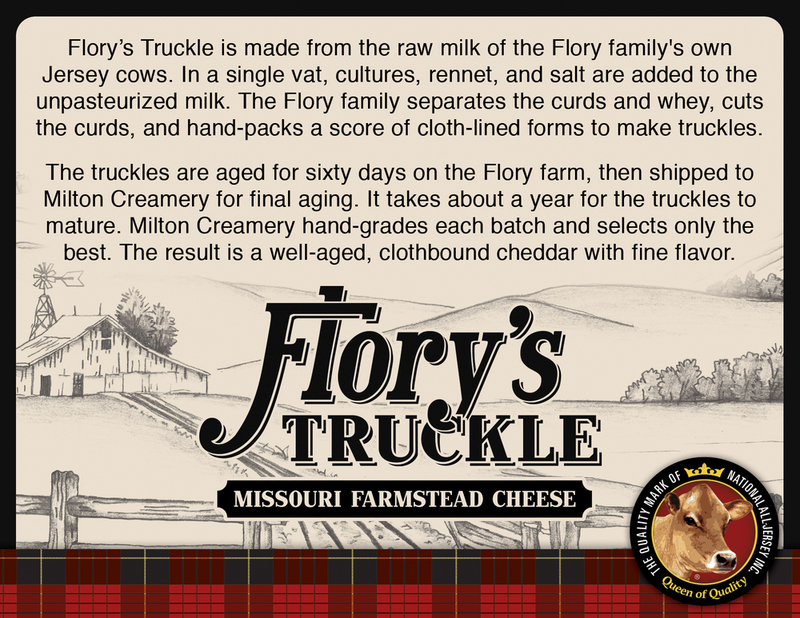 Create an identity for the new product reflecting the heritage and story behind the Flory family. Develop materials for multiple marketing channels in B2B and B2C touch points to drive product awareness and demand. Integrate product into the Milton Creamery product line and provide purchasing access through in-store, retail, and online settings. I designed a logo and identity materials that include essential brand elements such as a sketch created by local Mennonite talent and the tartan plaid pattern in the product's identity to represent the local and cultural feel behind the production of the cheese. To complete these materials, I also provided art direction for product photography and worked with vendors to produce product labels and packaging compatible with distribution. The materials included content targeted towards consumer education and came in the form of rack cards and printed invitations. 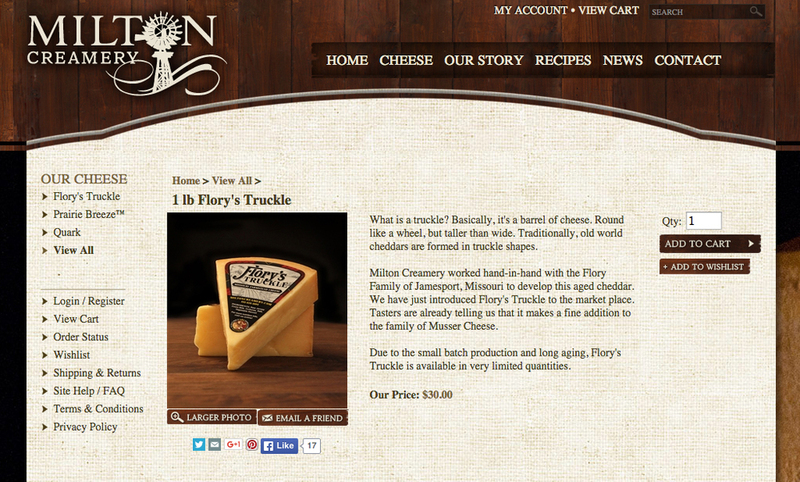 These materials were accompanied by access to purchase the cheese online at miltoncreamery.com, which allowed product reviews and social media sharing. The packaging received "Best Use of Jersey Brand for Homestead Creamery" at the World Jersey Cheese Awards in 2012 for it's use of the Jersey Cow logo, which represented quality cow milk used as the product's main ingredient. The new product was successfully integrated into the Milton Creamery product line and began distribution in stores and online, resulting in increased sales and product reviews.